Do you want to post your simple status update in surprising upside-down way? If so, use FlipText. 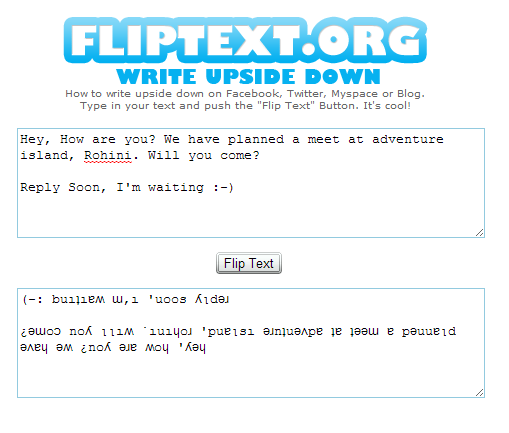 This website lets you to post status update in upside-down way. Just enter your original update on first box, it will automatically change to upside-down way in second box. 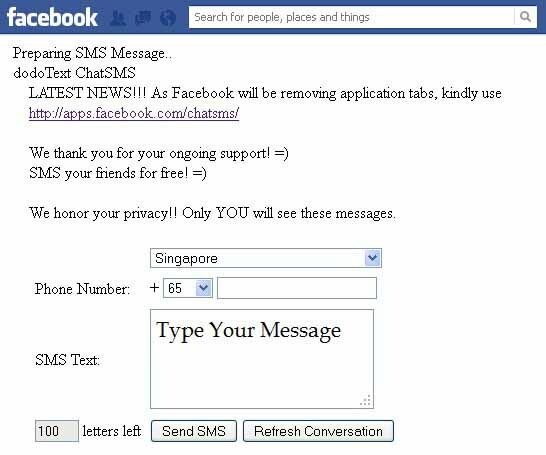 Just copy that Status update and post in your Facebook Wall !! Mark Zuckerberg created Facebook in Blue color. Right? Do you know why it is blue? because Mark Zuckerberg is color blind and can only see Blue color. 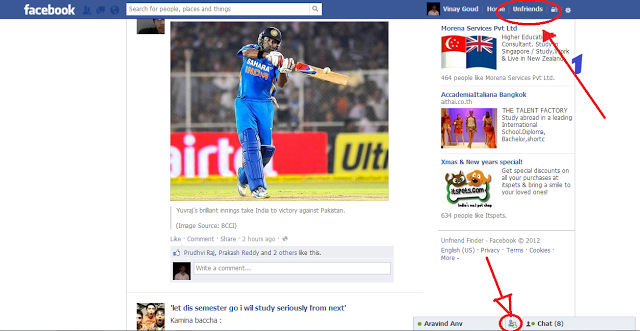 So if you get bored of using Blue Facebook then you can change its color according to your choice. Step 1: Just install and activate “Change My Facebook Color” Chrome Extension. Step 2: Go to Chrome’s Setting > Appearance and Tick ‘Always Show Bookmark Toolbar’. 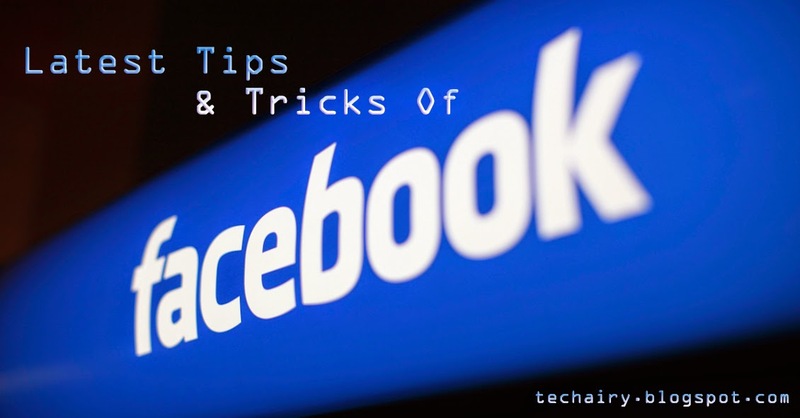 Step 3: Click on Change My Facebook Color Extension Icon on the Top-Right Side. Step 4: Set Background and Foreground color. Drag Arrow Icon to Bookmark Toolbar. 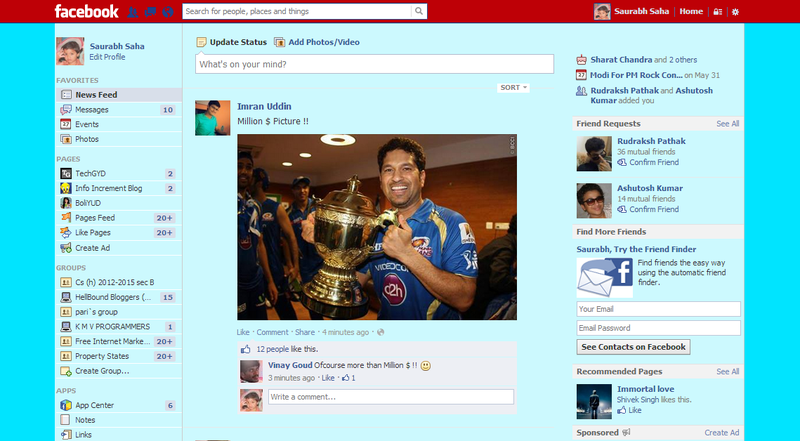 Step 5: Visit Facebook and Press the Button that you just added using the extension. Enjoy exploring Facebook in your own color ! To get the notification when someone unfriend you, download unfriend alert chrome extension and activate it. It will add an additional Unfriends Tab on Facebook so whenever someone unfriend you, you’ll get notified. This tab will also notify you about pending friend requests. Step 1: Right Click the image. From context menu, select ‘Open Image In New Tab’ . Step 2: In address Bar URL of the image, remove s160x160/ and hit Enter. The image will appear in its original size. 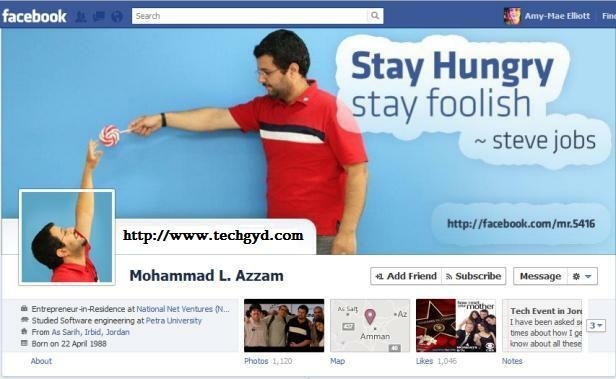 Do you want to create creative timeline cover for your facebook profile, as like the below one? Step 2: Select a template to use (out of 4). Step 3: Select Image to upload or use your current timeline cover. Step 4: Move the frame to target your cover photo and hit Done. Step 5: Click Like Button. Note - You Can Send Only 4 SMS Per Day of Length 100 Each Only.